I am a graduate of Longwood University with a Bachelor of Arts in Communication Studies with a concentration in Mass Media. I am interested in anything involving mass media and strategic marketing. I have experience editing, writing, videography, social media and graphic design. I am determined to take marketing to the next level with my positive attitude and willingness to learn new material. Graphic Design: 1 year experience: I am interested in gaining more experience in this field. During my last year at Longwood University I was enrolled in Page- Design. In this class I was responsible for placing articles, photos, and creating graphics using In-Design and Photo Shop. 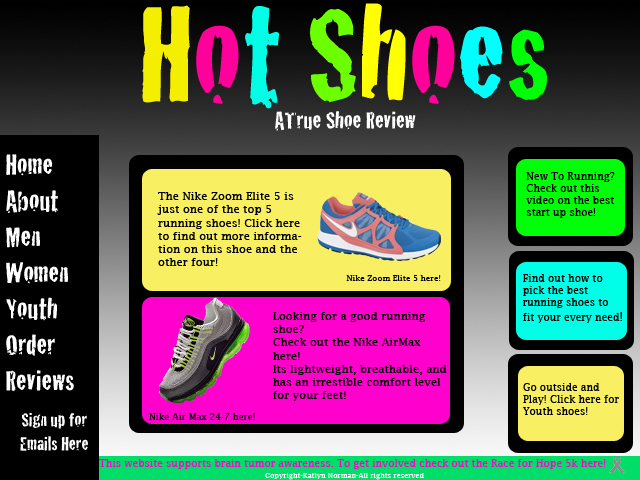 I created a 4-page newspaper spread, front page, and a webpage using Dream Weaver. Broadcasting: 2 years experience: For my major I was required to take Basic and Advanced Broadcasting. In class I was responsible for writing, editing, and filming to make news based packages. During my internship with Mckinsey Development I got hands on experience working with a videographer to shoot a short video of testimonial for Blue Ridge Orthopaedic and Spine center which ispublished on their new website. I also held the position of Rotunda Show Coordinator, where I was in charge of producing a webcast, editing, filming and writing. Journalism: 2-3 years experience: As a part of my major I was required to take Basic and Advanced Media Reporting and Writing. I took an interest in writing and became a Rotunda Reporter. From there I took on the responsibilities of Online Editor. I was responsible for obtaining and places articles on the website along with pictures and being on call for breaking news. In the summer of 2011 I interned with Mckinsey Development and wrote articles and press releases. I had articles published in Warrenton Lifestyle magazine along with several press releases published in the local newspapers.